Search "salomon" 23 results have been found. The shoe Salomon brought the speed on the trails! Lightweight, fast, and has a precise fit, the SPEEDCROSS 3 can provide the ultimate grip especially on wet soft ground. 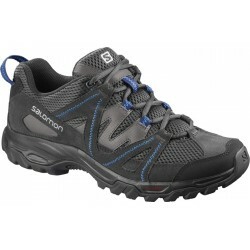 The shoe Salomon brought the speed on the paths! Light, fast, and has a precise fit, the SPEEDCROSS 3 can provide the ultimate traction especially on wet soft ground.